Mosses, liverworts and hornworts are all nonvascular plants - low-growing plants that lack vascular tissue (a system of tubelike structures that transport water and other materials). They can only pass materials from one cell to the next, that means that the materials do not travel very far or very quickly. They have only their rigid cell walls to provide support. These plants lack roots but they can obtain water and minerals directly from their surroundings. 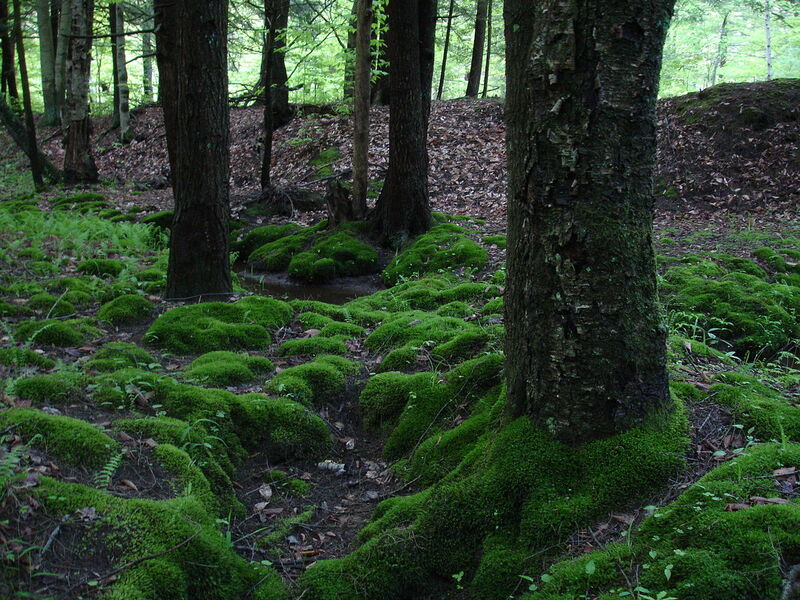 Thin rootlike structures called rhizoids anchor the moss and absorb water and nutrients from the soil. 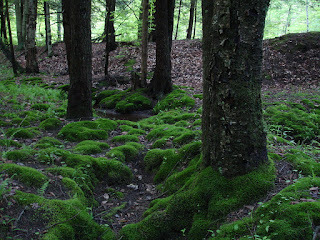 Unlike mosses, most liverworts grow flat along the ground. 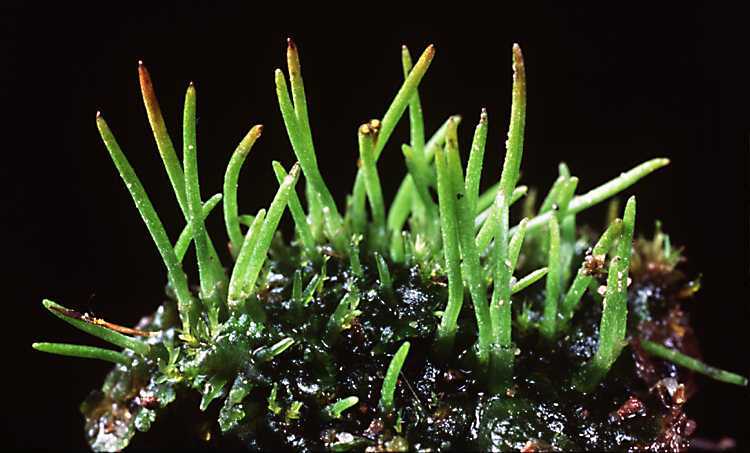 Sporophytes are slender, curved structures that look like horns growing out of the gametophytes. Hornworts are seldom found on rocks or tree trunks. Instead, hornworts live in moist soil, often mixed in with grass plants.